WASHINGTON (Reuters) - U.S. Representative Alexandria Ocasio-Cortez, part of a new crop of Democrats swept into office this year on a stronger liberal platform, said she is poised to serve on a key congressional panel overseeing Wall Street, a potential setback for the financial services industry. "I'm looking forward to digging into the student loan crisis, examining for-profit prisons/ICE detention, and exploring the development of public & postal banking," Ocasio-Cortez tweeted late Tuesday. "I am very grateful for the opportunity to sit on this committee as a freshman." Other incoming progressive Democrats, including Katie Porter, Rashida Tlaib and Ayanna Pressley, are also expected to secure spots on the committee, Politico reported. Their reported appointments to the House Financial Services Committee would be a setback for the industry, which had hoped the committee would be filled by moderate Democrats more sympathetic to their issues. The powerful committee also oversees the U.S. housing market, insurance and international finance sectors, among other areas. 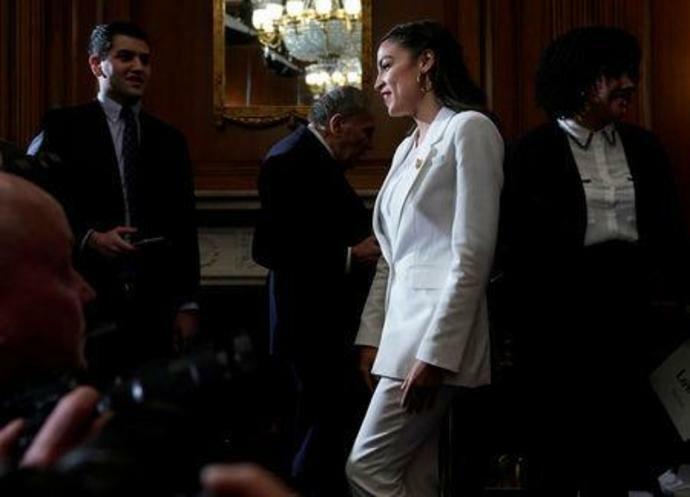 Ocasio-Cortez, 29, is part of a wave of female Democratic congressional candidates elected in November aiming to put more support behind the party's liberal progressive wing. She became the youngest woman elected to Congress, representing New York's 14th congressional district in the Bronx and Queens after upsetting a longtime Democratic incumbent. She graduated from Boston University in 2011 with degrees in international relations and economics.